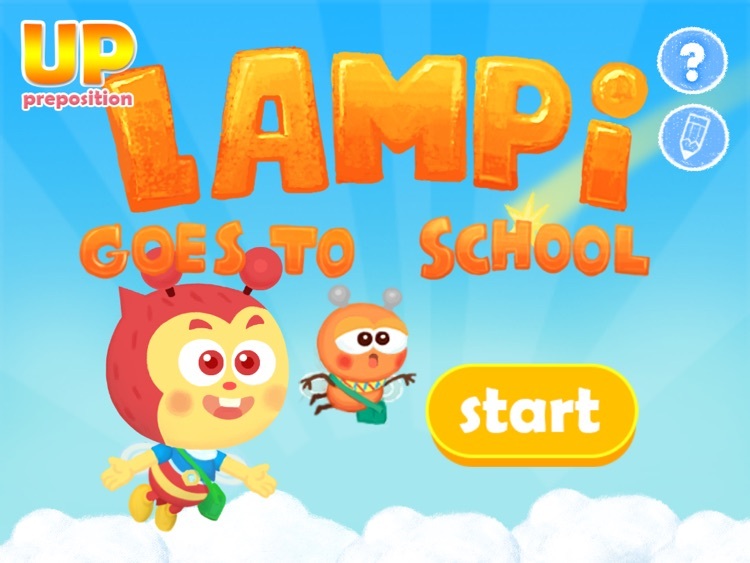 Lampi Story was created as a preposition and phrasal verb learning tool for children. 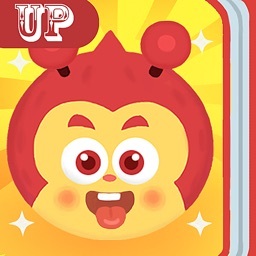 Up is the first book in the series of fun daily stories centered around a young bee named Lampi. Each book introduces a particular preposition and related phrasal verbs that are frequently used. The story begins in Lampi’s room. 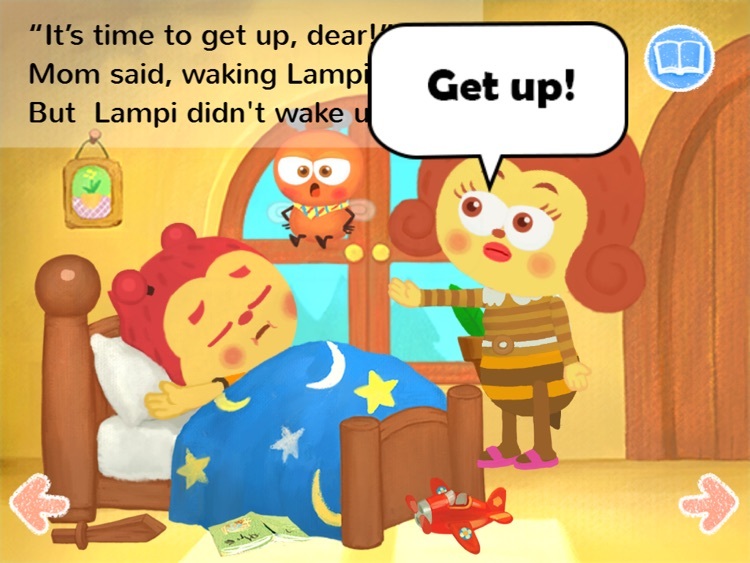 -Mom: “It’s time to get up, dear!” But Lampi didn’t wake up. 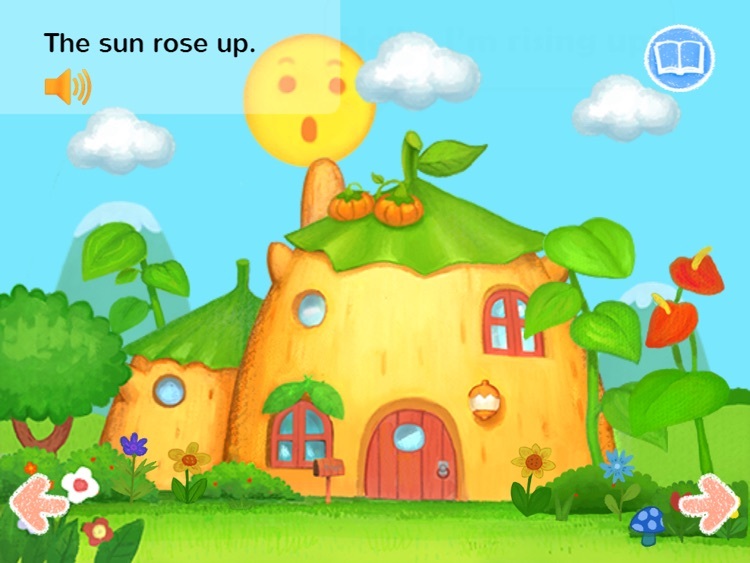 As your children listen and read the story, they will have the option of speech bubbles. 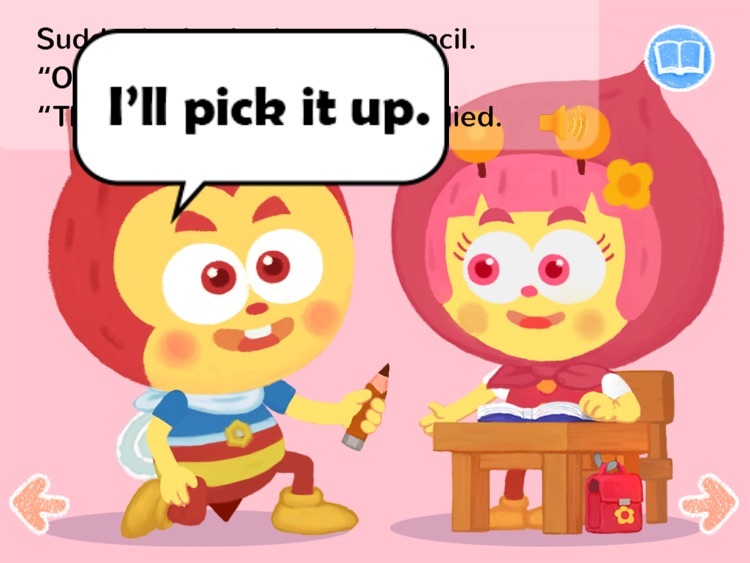 Touching each character will activate entertaining speech bubbles, allowing children to repeat the target words. 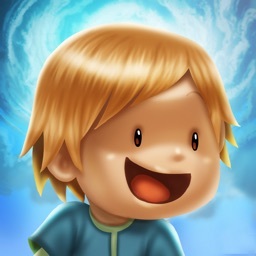 Your children will interact with the characters as they go about their daily life. 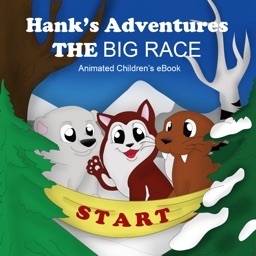 The story will keep children interested and engaged. All sentences are short, and friendly content is presented in a lively and straightforward manner using animation. With Lampi and his friends, your children will have confidence using prepositions and phrasal verbs when speaking. 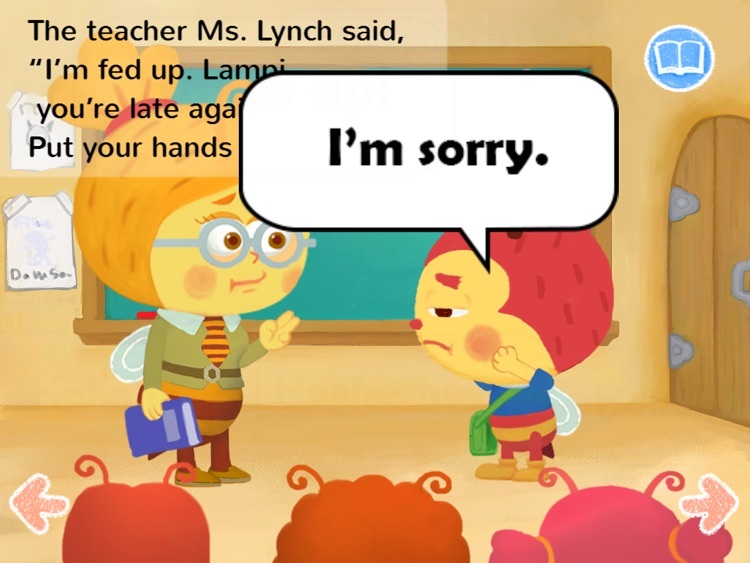 About: Lampi Story is a series of unique stories for preposition and phrasal verb learning created with young children in mind, by professional English educators.